The last six weeks have been CRAZY! If this is any indication as to how the dissertation phase will be, then I am in for a major roller-coaster ride. 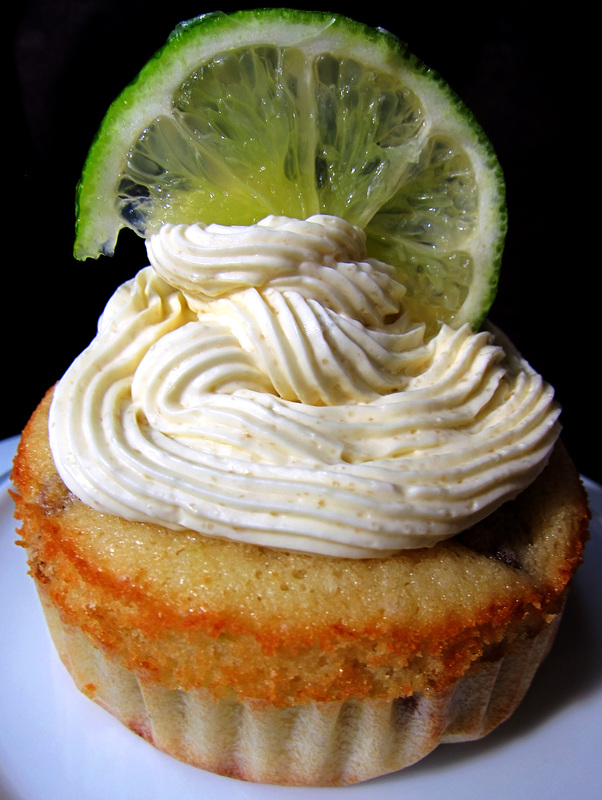 However, cooking/baking is a sure way for me to de-stress, so today I decided to make these Mojito Cupcakes. No, I am not reverting back to eating desserts, this is just something to calm the nerves down a bit – after all, these cupcakes have Rum in them. If you like rum, mint, and lime, you will LOVE these. These are truly a great party-type of a dessert. Probably not the best dessert for the kids, as these have Rum in the batter and icing, which makes them “boozie”. Enjoy! Preheat the oven to 325 degrees F. Line a muffin pan with paper liners and set aside. In a small saucepan combine buttermilk and 1/2 cup of mint leaves, place over medium heat and warm through. Let steep for 20 minutes. Once cooled, strain the milk, set aside. In a mixing bowl, combine together the flour and baking powder, set aside. With an electric mixer (or a hand-held mixer) on medium-high speed, beat the butter and sugar together until pale, and fluffy (for approximately 5 minutes). Start to add the eggs one at at time, mixing well after each addition. Add the lime zest, lime juice, vanilla extract and rum. Mix until combined. Reduce the mixer speed low. Add the dry ingredients in batches, alternating with the buttermilk. Mix until just incorporated, being careful not to over mix. Mix by hand with a rubber spatula to combine all of the ingredients. For even size cupcakes, use a small ice cream scoop to fill the muffin cups. Bake for 20-25 minutes or until just slightly golden and the toothpick comes out clean. 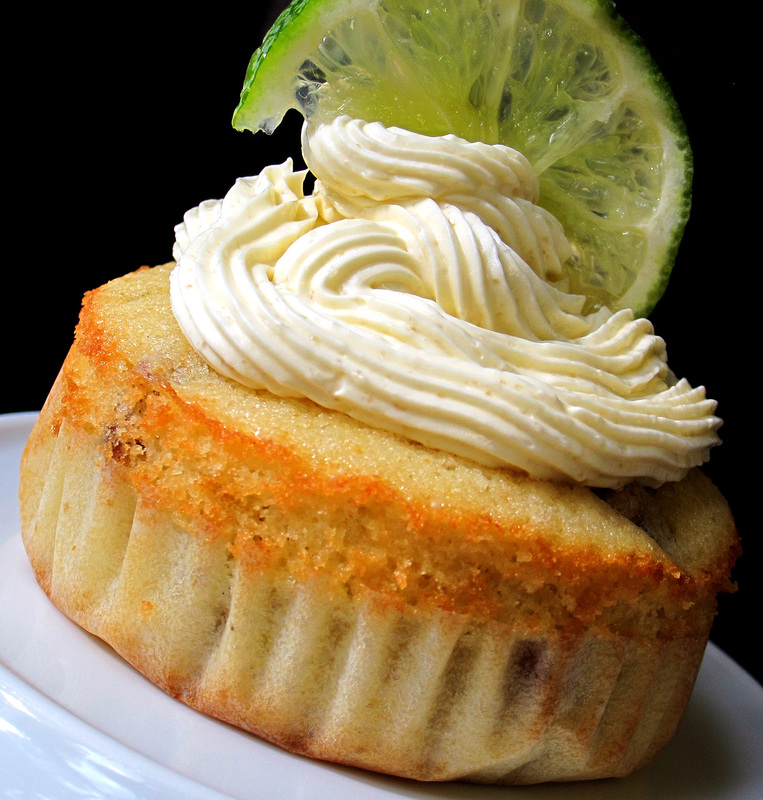 Let cupcakes cool for 10 minutes and then brush the tops of the cupcakes with the rum. Set the cupcakes aside and cool completely. If you frost them now, the frosting will melt, resulting in a big mess. To make the frosting, with an electric mixer, mix the butter on medium-high speed for about 5 minutes. Reduce the speed to low and add the powdered sugar until all is incorporated. Add the lime juice and rum and mix on until fluffy. If the frosting is a bit soft after mixing, place it in the refrigerator for 15 minutes before piping the cupcakes. If you do not have piping tips and bags, simply cut off the tip of the corner of a zip lock bag, fill the bag with icing, and frost the cupcakes. If you do have piping tips, you can use any size you like, just remember the bigger the tip, the easier it will be to frost. Use a tip with ridges to make the icing look more elegant (as pictured above).